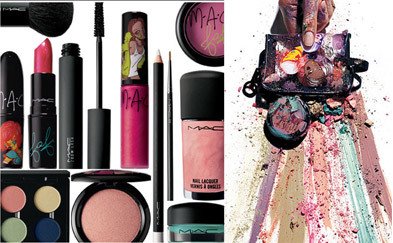 MAC Fafi Collection is the graphic expression of French graffiti artist Fafi. 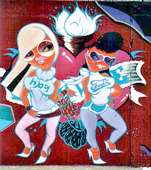 The new Chick-A-Boom Collection includes lipstick, lipglass, eye shadow, eye pencil, mascara, powder blush, iridescent powder/pressed, and nail lacquer. 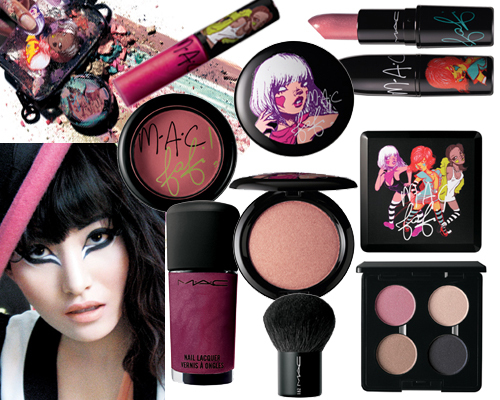 The MAC Fafi Collection is now on counter in MAC stores and at MAC counters. It’s not too crazy and is really wearable. You will find bright shades dominated by tangerine, pink, and violet. Although the colors are actually more subtle than you’d expect. 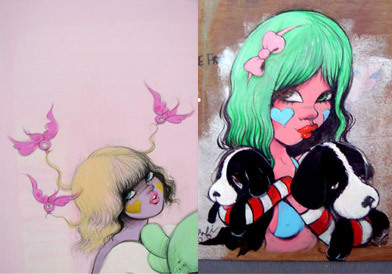 Meet the Fafinette characters for the collection: Eriko, Monoka, and Ermine. A trio of Fafinette figurines specially created by Fafi in celebration of this signature collection for M·A·C. Each Fafinette sports her own style, sass and hair colour, but in their stance and attitude – they are indisputably M·A·C Fafi! 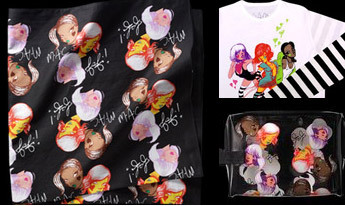 Fafi bags, shirts and scarf are also part of the new urban Chick-A-Boom collection. So cute! Prices… Let me put it this way - I start saving! 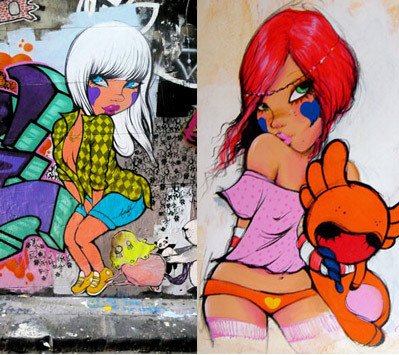 I think I have just became a huge fan of Fafi’s drawings and her feminine images in a very aggressive environment.